Taylor began his career playing for a local coal mining team at the colliery where he worked. At the age of just 16, local scouts offered him the chance to play for Barnsley, whom he joined in July 1949. He made his first team debut on 7 October 1950, in a 3–1 home win against Grimsby Town. In his next match, on 4 November 1950, Taylor scored a hat-trick in a 7–0 victory against Queens Park Rangers. In all he scored seven goals in twelve appearances in 1950–51. After scoring 26 goals in 44 games at Barnsley, who had been unable to progress beyond the Second Division, Taylor was transferred to defending First Division champions Manchester United in March 1953 for a fee of £29,999 (Matt Busby did not want to burden young Taylor as being a “30,000 pounds player”. So taking out his wallet, he pulled from it a 1 pound note and handed it to the lady who had been serving up the teas in the Boardroom). He got off to a great start, scoring twice on his debut. 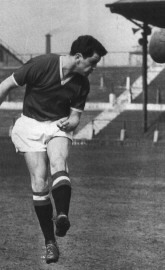 By the end of the 1952–53 season, Taylor had scored seven goals in his first 11 games for United. 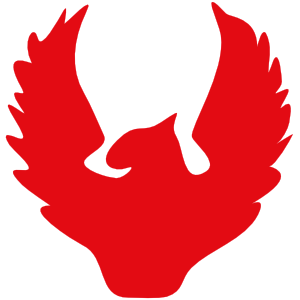 He eventually led the team to league titles in 1955–56 and 1956–57 and scored in the 1957 FA Cup Final, when United were denied the double as they lost 2–1 to Aston Villa (winners of the competition for a then record seventh time). Such was Taylor’s worth that Matt Busby decided to reject an offer of £65,000 for him from Internazionale in 1957. Had the deal gone through, then it would have broken the world transfer record. At the time of his emergence, many saw Taylor as the perfect eventual replacement for the ageing Nat Lofthouse in the England side. In all, he played 19 times for England, scoring 16 goals. 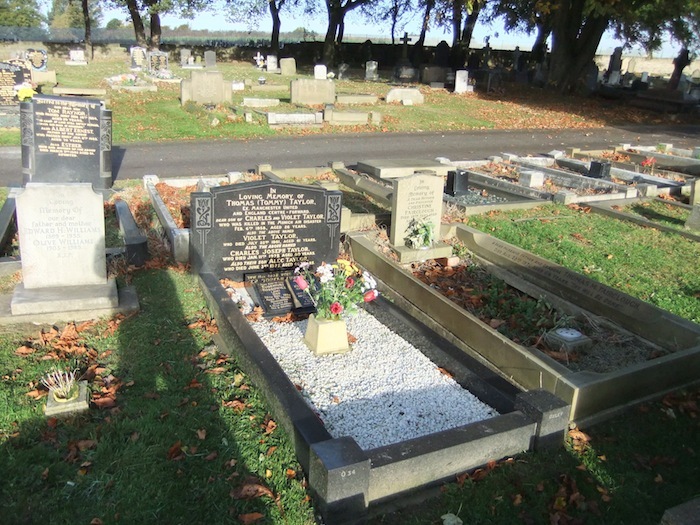 Taylor died instantly in the Munich air disaster, and at the time was engaged to his fiancée Carol. 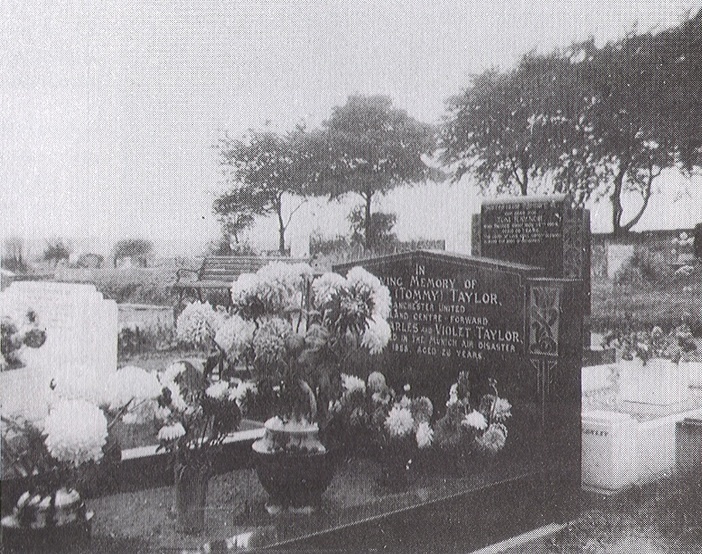 The grave has “Taylor” on the back of it – which you can see from the path.